There is not much in life that is more fun – at least with your clothes on – than driving down your favourite back road with the roof down, a fresh breeze against your face, the sunlight through the overhanging trees creating patterns of light and shade as you sweep through one corner to the next. Initially, you drive hesitantly – fearful of bike riders, other motorists, or a patch of leaves or wet road that could quickly end your excursion – but as you get used to the road and the car, you forget your anxieties and time slows down. Everything flows just right. The Boxster S is fantastic at creating this sort of feeling. In its element, on the right road, with some freedom to move, this car is an utter delight. 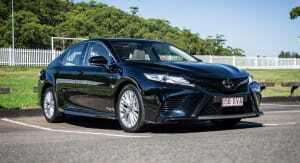 The only problem is that there are some compromises and costs that accompany the car. 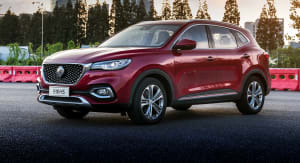 I hope this review gives you a balanced idea of what those compromises are and whether they would deter you from buying this car. I’ll start with the positives. 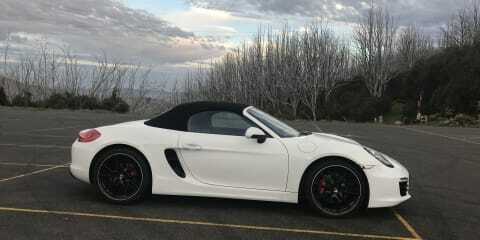 The single best thing about the Boxster S is the responsiveness of its engine, a 3.4-litre flat six. The lack of forced induction means that the engine responds to your right foot in an immediate, linear manner. 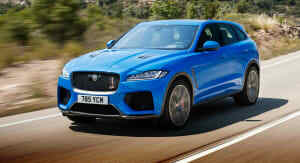 There is no hesitation and no ‘slingshot’ effect that you get with turbocharged cars. Acceleration is brisk enough to be enjoyable, but not so fast that you feel nervy or threatened. Compared to its bigger brother, the 911, the Boxster runs out of puff at higher speeds due to its lack of mid-range torque. The 911 pushes hard past 80, 120, 160, whereas the Boxster S slows down past second gear (which goes up to about 120). Given Australian speeding enforcement, that is not necessarily a bad thing. The engine sound at low revs is surprisingly subdued. When you start the car up, you get a burst of noise, but that quickly subsides to a docile thrum. Around town, you could hardly tell the engine noise from any old four-cylinder. But when you take the engine past 4000 revs, it springs to life like a bear pricked by a thorn. As you wind towards redline, the engine unleashes a rich, pure howl that never fails to put shivers down my spine. Such is the intoxicating effect of that high howl, you will find yourself continually dropping down to first gear so that you can hear it again. You and your neighbours will love it. My car doesn’t have the Sports Exhaust switch, which is a $6000 option, and as a result the engine sounds a bit thin at low revs and misses out on pops and crackles on the overrun. Had I the choice now, I probably would tick the Sports Exhaust box. That said, you can make the engine pop and crackle even with the stock exhaust, but the engine needs to be well warmed up and you need to really rev the nuts off it. Steering is heavy and accurate. You always feel like you know exactly where the car is and where it’s pointed. Brakes are fantastic – firm, deep, and easy to modulate in all conditions. Most cars I’ve driven have had brakes that are either too ‘grabby’, which makes low-speed manoeuvres a chore, or they have too much slack in the pedal. The Boxster’s brakes suffer from no such problems. On the track, my car’s g-force meter showed a maximum of 1.24g in braking force, and there was no hint of fade, and only a little bit of post-track softness that cleared up after a few days. The downsides of this car? Probably the biggest compromise, other than the obvious lack of seating capacity, is the car’s stiff ride. I’m sure the (optional) 20-inch wheels contribute to this, but even the standard Boxster S has 19-inch wheels. With the car’s suspension and wheel set-up, you can feel every change in road surface and every botched pothole repair. I’ve become used to scanning the road ahead, not just for traffic and pedestrians, but more importantly for any perturbations that might damage the rims, or my spine from the jolt of passing over them. Perhaps the adaptive suspension would fix the above, but it’s a costly option (note – every option is a costly option) that I don’t have. The low nose of the car also means that you have to be careful exiting service stations and driveways, in case you hear the awful sound of the underside scraping against the road. Road noise is also a problem at highway speeds, and though I’ve recently improved this by switching from the factory P-Zeros to a set of Michelin Pilot Sport 4s, nonetheless there is a tyre drone that makes music and conversation difficult above 100km/h. The stiff ride and tyre noise may not seem like huge problems, and most of the time they aren’t, but they do compromise the Boxster’s ability to be a comfortable cruiser. 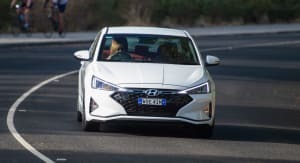 Beyond an hour or two of driving, you start thinking that maybe a sedan would have been a better choice for commuting and sedate journeys. One thing that surprisingly is not compromised is the interior. There is plenty of room, even for tall people, and the ergonomics are perfect. The buttons and switchgear feel just right to the touch. Apart from a bit of cheap plastic near the gear lever, most other elements feel premium. The standard interior has a reasonable amount of leather, and everything feels nice and tactile. You can go with the full leather package, but that’s ridiculously expensive, and if you like the smell of leather that much, you would probably find it cheaper to buy your own ranch. The Boxster S has the usual mod cons, like Bluetooth and audio streaming. There is a useful digital display in the gauge cluster that can toggle between music, trip computer, g-force meter, navigation and so on. There is also a competent touchscreen display. It all works fine, but is maybe a little spartan and subdued. 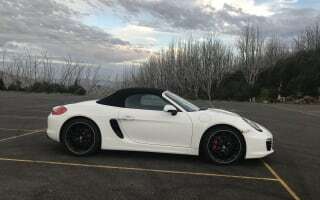 The 981 Boxster S had a list price of about $130,000 new, give or take, depending on the transmission (the dual-clutch ‘PDK’ transmission is dearer than the manual). With options, the price could easily creep up towards $150,000. Second-hand values now are less than half that, which, if you ask me, represents fantastic value. You could of course spring for the newer, faster, more expensive 718 Boxster/Cayman, but you would lose the engine sound and responsiveness. I will leave that discussion for another day. Maintenance on the Boxster S is expensive if you choose to go through the dealer. I use an indie mechanic for most things and I find the pricing to be very reasonable. Even with the dealer pricing, there is only a modest surcharge compared to other German makes. To date, I have had very few issues with my car. There is occasionally a rattle, which goes away by itself. The Bluetooth streaming sometimes refuses to work, but ‘rebooting’ the car usually fixes it. The rubber seals on the roof are getting a little stiff and I’m worried I’ll have to replace that soon, but there have been no water leaks to date. I have collected a couple of speeding tickets, but I am told that is not the manufacturer’s fault. I replaced the original set of tyres at 20,000km after a fair bit of spirited driving. The original brakes are still going strong. Fuel use is about 9L/100km on the highway, 12L/100km around town and 16–20L/100km when you’re thrashing it. Overall, maintenance and consumables have been very reasonable. With the Boxster S, what you see is what you get. 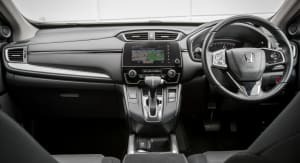 You just have to work out whether the compromises, in terms of reduced seating, modest storage and stiff ride, are enough of a barrier to stop you from getting this thoroughly enjoyable car.